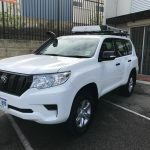 4WD Camper Hire is popular among our customers. 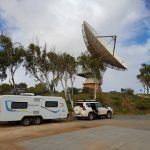 People love to get “off the beaten track” and experience Australia’s outback. If that sounds good to you, you’ll enjoy these two great hire deals from our website. Our late model 4WD’s are well-maintained and fully-equipped to go off road. It has safety features such as Traction Control, Anti-Skid, Anti-Sway, Pre-Collision Emergency Braking System, Lane Departure System and Air Bags across both the front and back seating positions. We supply tents (Roof Top Tent or Ground Tent), Sleeping gear, Kitchen and Cooking Equipment, Recovery Kit, General Camping gears at no extra cost. Click here for 4WD rental choices. 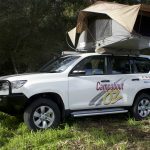 If you’d rather not sleep in a tent, our 4WD and Camper rental combo is great option. 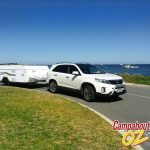 The Campabout Oz 4WD and Camper package allows you to separate your accommodation & transport which gives you more freedom to explore the local attractions without taking your “home” with you. 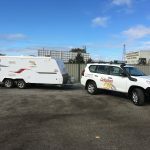 You get a comfortable Jayco Eagle camper trailer or Jayco Expanda Luxe Caravan with heaps of sleeping room, indoor kitchen, living area and more. This is perfect for families and small groups travelling together. Although there’s plenty of sleeping room in the camper, we’ll happily supply extra tents for teenagers or singles who need their own sleeping area. 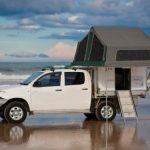 Our easy quote form makes it easy for you to plan your Australian 4WD holiday. Simply request a quote today and our friendly staff will reply quickly – usually within 24 hours. If you’re wondering why we don’t have automatic pricing on the website – it’s because we give the best deals based on the length of your hire. Every quote is custom-made to suit you to ensure you get the best price. So send us a message today. We look forward to hearing from you.